Cave bacon is a rock formation officially known as layered flowerstone. The effect is created by the deposition of water-borne minerals traveling over and over on the same route. Variations in rainfall, mineral balance and other factors change the speed and mineral content of the water, which is what causes the delicious-looking bacon effect. 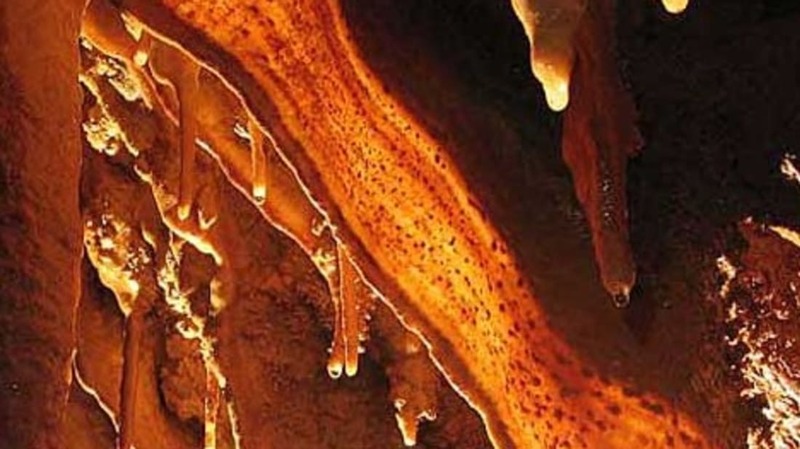 The cave bacon seen above is from the Kentucky Diamond Caverns, one of 10 amazing caves seen in this post on WebEcoist. Also featured are the Galos Salt Caves in Chicago, which look like a giant cave of ice and snow. The atmosphere and salt-filled air of these caves are said to soothe the psyche.